Image by Chuck Koehler under Creative Commons license. 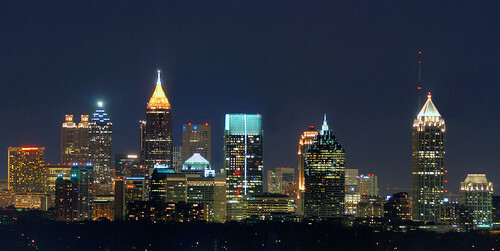 Atlanta can be called the capital city of the south. It's a hub for transportation, telecommunication, and top 500 corporations. Atlanta residents enjoy their vibrant sports, music, and culinary scenes. Southern cuisine has been enjoying a comeback. People are rediscovering the southern focus on fresh, seasonal vegetables, succulent bar-b-q, and soul food made with love. Slather some sorghum on your biscuit and enjoy some down-home southern cooking from these foodies from Atlanta and other parts of the Deep South. Eat, Drink, Man... A Food Journal.